Zinc for Acne tablets provide a combination of nutrients including zinc and Vitamins C, B-6, A, and E, specially blended for your skin. 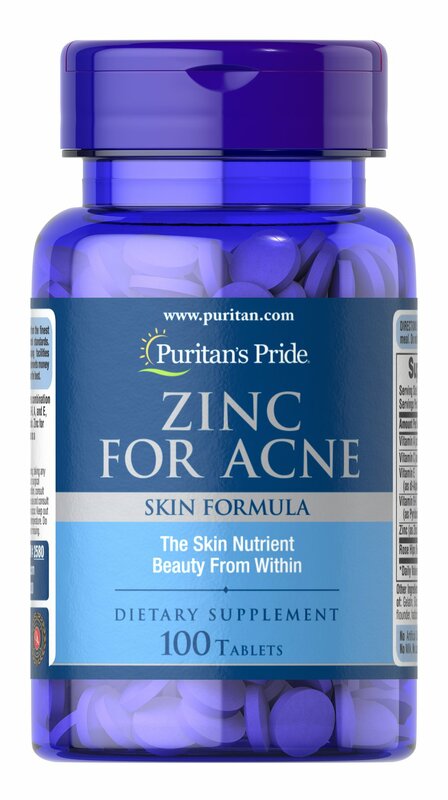 Zinc for Acne is designed to be taken as a supplement. No Artificial Color, Flavor or Sweetener, No Preservatives, No Sugar, No Milk, No Lactose, No Soy, No Gluten, No Wheat, No Yeast, No Shellfish, Sodium Free.